New York State and New York City are in a public health crisis. But a small group of loud voices isn’t interested in facts. Instead, protesters and others who oppose vaccination for measles are using intimidation, ugly phone calls and uninformed, sometimes nasty, social media posts to go after state lawmakers and even a Yiddish newspaper seeking to end the epidemic. Their vitriol comes as the city’s measles outbreak has mushroomed to 329 cases, and as the city Health Department closed a yeshiva preschool program in Brooklyn after its staff refused to provide medical and attendance records. Nationwide, the measles crisis has spread to 20 states. Contrast that with the situation in Madagascar, where more than 1,200 people have died and more than 115,000 have been sickened from a measles epidemic. Mothers beg people to give their babies a shot, but the resources are lacking. Closer to home, vaccine opponents continue to push falsehoods and fear, and have aggressively and sometimes physically targeted state lawmakers and others who support vaccination. 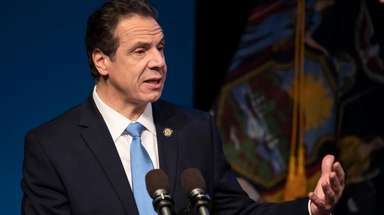 State Sen. Brad Hoylman, who is sponsoring a bill to end the state’s religious exemption for vaccination, said he has received “veiled threats.” Bronx Assemb. Jeffrey Dinowitz has been the subject of hateful rhetoric. A Long Island state senator was surrounded by protesters who wouldn’t let him leave a local news conference. The weekly Yiddish newspaper called Der Yid — part of the fabric of the Orthodox Jewish community in Williamsburg, which is at the center of the city’s outbreak — became the target of vile phone messages after it editorialized in English and Yiddish that people need to be vaccinated. This nation has no excuse for the outbreak that shows no sign of abating. In New York, lawmakers should end the religious exemption and stand their ground. And Mayor Bill de Blasio must be even more aggressive in combating the anti-vax rhetoric and the outbreak itself.